o·pus \'o-pəs\ 1. a creative work. cu·ri·o·sus \kyoor-e-'o-səs\ 1. inquisitive. 2. careful; precise. 3. constructed with elegance, art and skill. 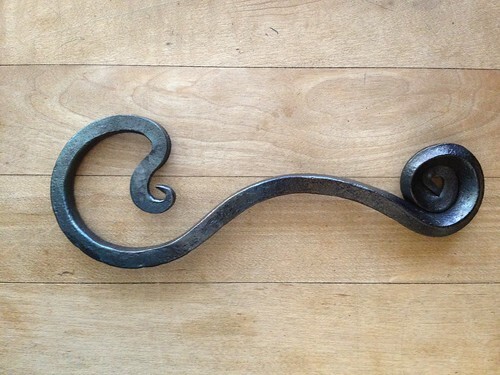 Hand-forged bottle openers, a set on Flickr. I'm constantly coming up with new designs for these forged-steel bottle openers, so check back often. They work and look great! I'm a Web editor, artist, blacksmith, carpenter, designer, furniture maker, bicycle builder, dad, and anything else my imagination and obsessions demand.